Certain ingredients are synonymous with spring, and ramps are certainly one of them. 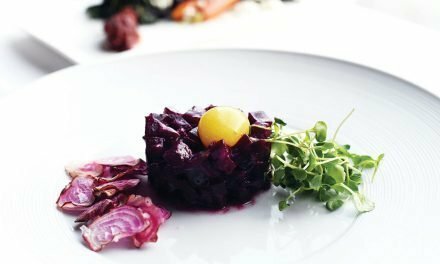 At Roofers Union in Washington, D.C., Executive Chef Jenn Flynn takes any opportunity to celebrate the season, using unique items like ramps to heighten familiar dishes. The pizza sees a number of thoughtful flavor details, from a housemade barbecue sauce, a blend of mozzarella and cheddar, and shredded chicken that’s been brined with thyme, bay leaf, garlic, lemons and salt to a finish of pickled ramp bulbs and a ramp purée.